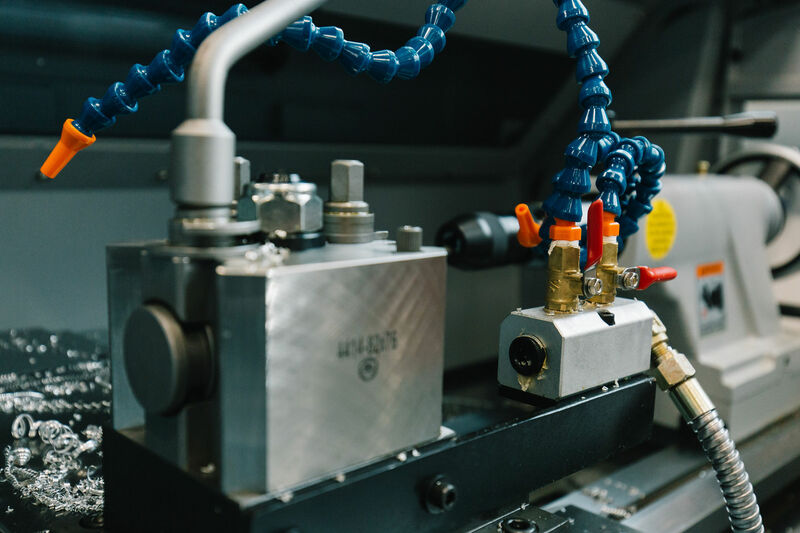 Manufacturing engineering is an essential feature in the vast arena that is manufacturing – an area that makes large contributions to the wealth of many countries throughout Europe and the rest of the world. It is a fast-changing scene where the competition between industrial organisations is keen and lean: only those companies prepared to apply modern philosophies and technologies will survive. 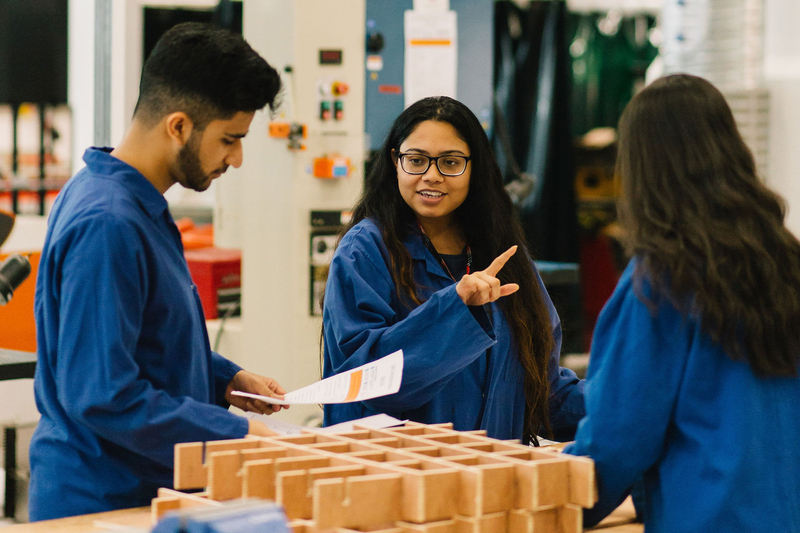 BEng (Hons) / MEng Manufacturing Engineering has been developed to provide you with a good knowledge of a range of manufacturing principles. 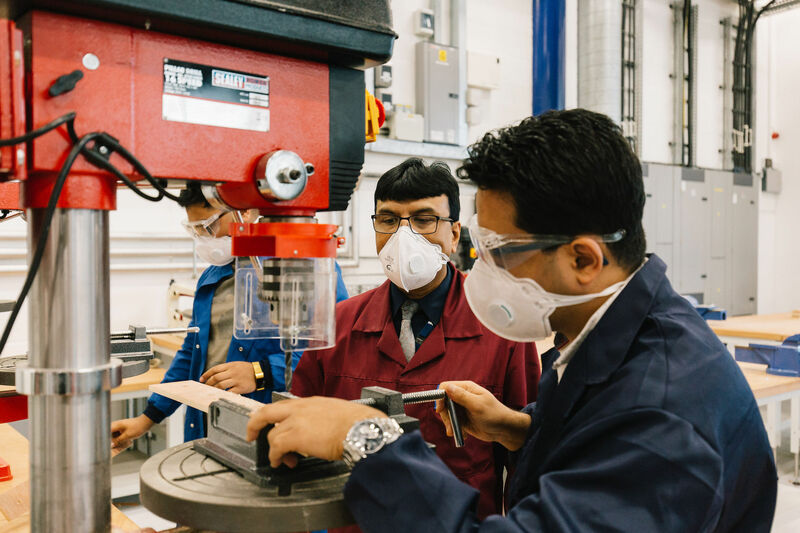 This programme offers an exciting course of study that will prepare you for the rapidly developing field of manufacturing engineering and its supporting operational systems. 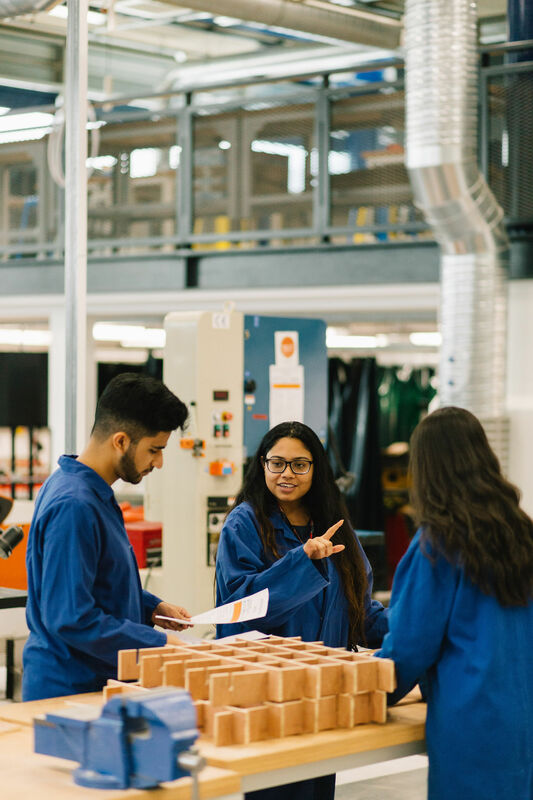 Upon your graduation you will have the intellectual, creative and personal qualities necessary for undertaking a leadership role and a depth of knowledge that will enable the application of new and emerging technologies to the solution of manufacturing problems. 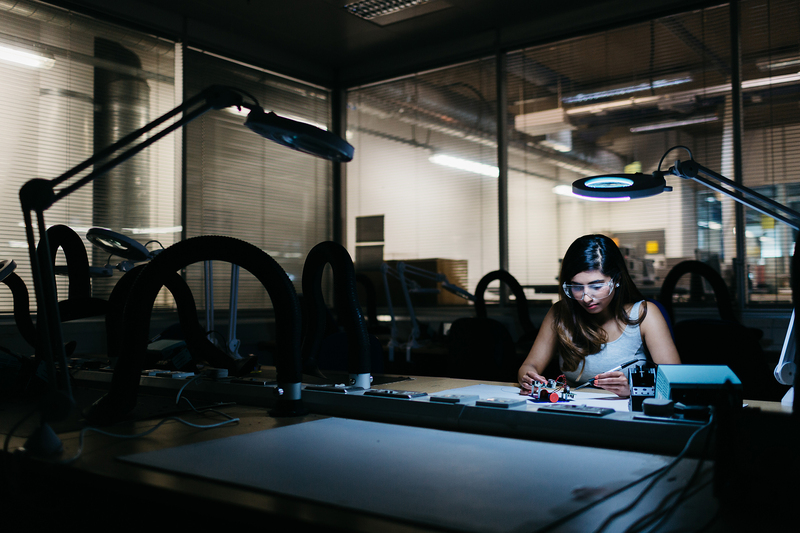 This degree aims to develop engineers who can apply the principles of systems management, engineering and information technology to the solution of operational problems in industry and commerce. Manufacturing engineers are employed in a wide range of engineering, educational and commercial organisations. Graduates from the course are equipped to progress into positions of responsibility in relevant industry, or further programmes of specialised study or research. There are many challenges facing manufacturing industry. 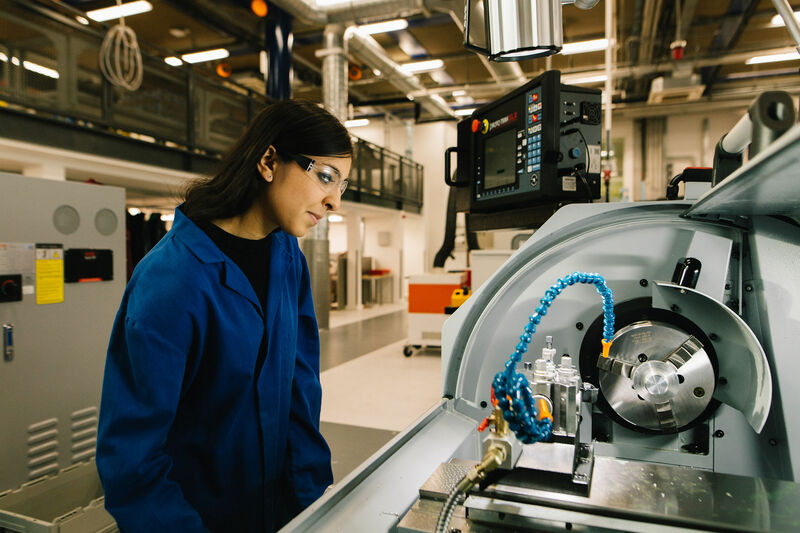 Companies now strive for competitive advantage and have to evaluate their performance more effectively in order to make best possible use of all resources: Talented, innovative, ambitious engineers are needed to give manufacturing organisations a competitive edge. 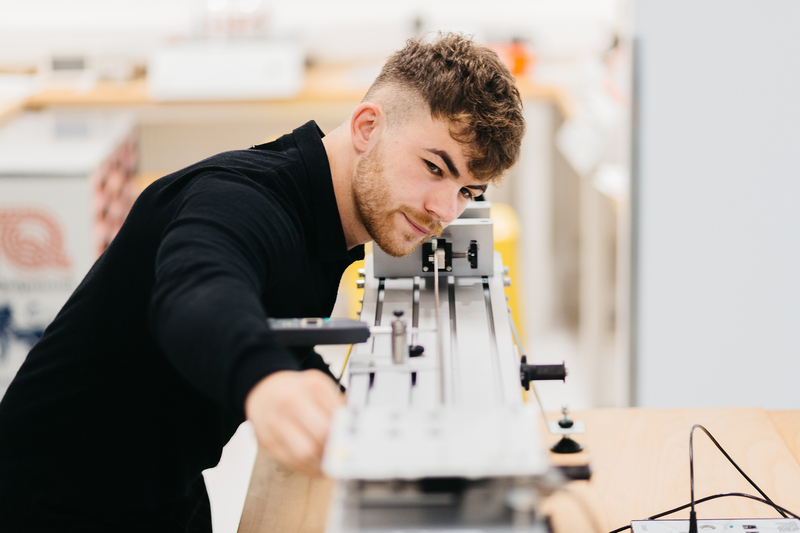 We have a proven track record in providing high quality part-time engineering courses, ensuring you gain the skills and knowledge industry needs. The course has been designed with a focus on professional skills and assessed in an integrative manner, reflecting the application of a mixture of skills and knowledge such as is typically found in an industrial and commercial environment. 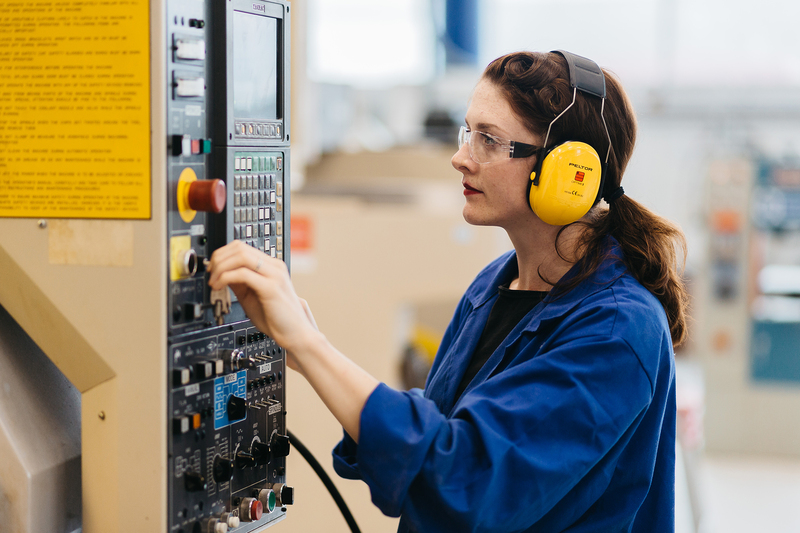 You must pass a HNC in an Engineering qualification to be accepted to year three entry. Some Foundation degrees in Engineering may also be accepted, as well as a HND in Engineering. BTEC National Diploma (12-units not including early years) D*D* or combined with other level 3 qualifications to achieve a minimum total of 112 UCAS points. A Distinction in Mathematics for Technicians unit or a Pass in Further Mathematics for Technicians unit. BTEC Extended Diploma (18-units not including early years) DMM - 112 UCAS points. A Distinction in Mathematics for Technicians unit or a Pass in Further Mathematics for Technicians unit. BTEC Subsidiary Diploma/ National Award (6-units not including early years) Combined with other level 3 qualifications to achieve a minimum total of 112 UCAS points. In addition, you will require a grade C in A Level Mathematics or equivalent such as a Distinction in Mathematics for Technicians unit or a Pass in Further Mathematics for Technicians unit. Welsh Baccalaureate (core plus options) Combined with other level 3 qualifications to achieve a minimum total of 112 UCAS points. Plus an A Level in Maths at grade C or above (or equivalent). Applications for part-time undergraduate courses should be made direct to the faculty. 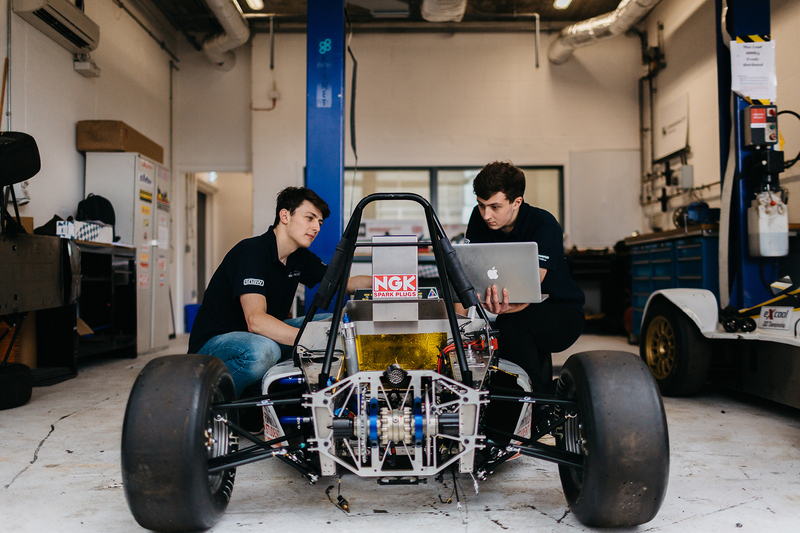 As the practical aspects of engineering science are delivered in another theme of the common first year, the Engineering Principles modules concentrate on the theoretical aspects. The subject material will be delivered in two coherent streams one of which contains predominantly mechanical science and the other contains predominantly electrical science. Each stream will be delivered as a 1 hour lecture followed by a 1 hour small group tutorial giving 4 hours contact. This module will interact with modules in the other two themes in the common first year in that it will rely on knowledge of mathematical techniques developed in the maths/professional skills theme and will provide theoretical underpinning for the experimental activities in the practical theme. This module provides you with an understanding of the analysis, design and planning of manufacturing and other operating systems, and also an opportunity to investigate and select alternative strategies for the planning, scheduling and control of manufacturing and other operating systems. The module also covers the quality systems, tools and techniques available to an organisation. This module aims to provide you with an understanding of the tools and techniques used in quality systems. Topics include Process Improvement, Process Capability, Improvement Techniques, Quality by Design, Mapping Techniques, Quality Costs, TQM and Standards (ISO 9000 etc). The module provides you with the opportunity to learn about design, sustainable development, teamwork and communication whilst contributing towards real international development projects. 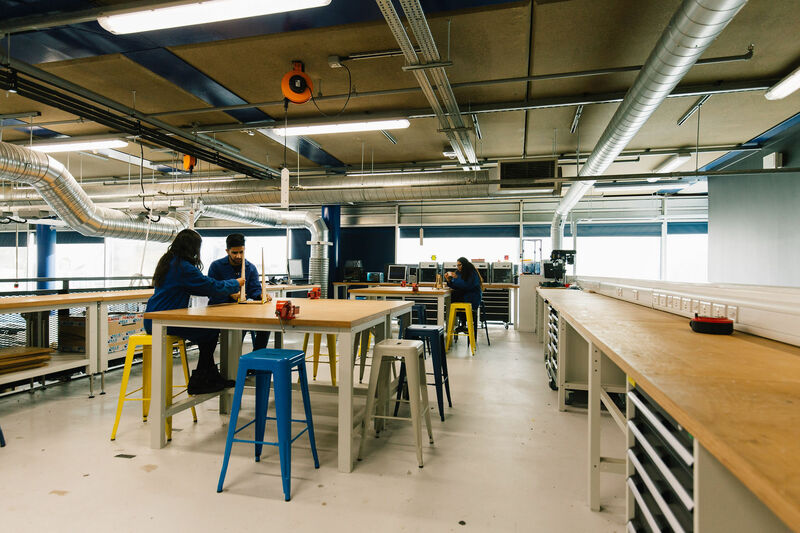 You will also gain the ability to communicate design ideas and practical details, to evaluate and apply both tangible and subjective feedback, and to conceive, design, implement and operate practical solutions to design opportunities. It is anticipated that the project vehicle for this module will be the Engineers without Borders Design for People Challenge. An interdisciplinary module, you will work with students from all fields of engineering to develop skills in engineering leadership and experience creating a purposeful vision and delivering on that vision. This will set the professional skills for business in context by combining your technical course-specific knowledge with professional skills. It is proposed that the vehicle to deliver this will be the biomimicry global design challenge. This module develops your research skills, idea generation techniques, and ability to create CAD models and manufactured components. 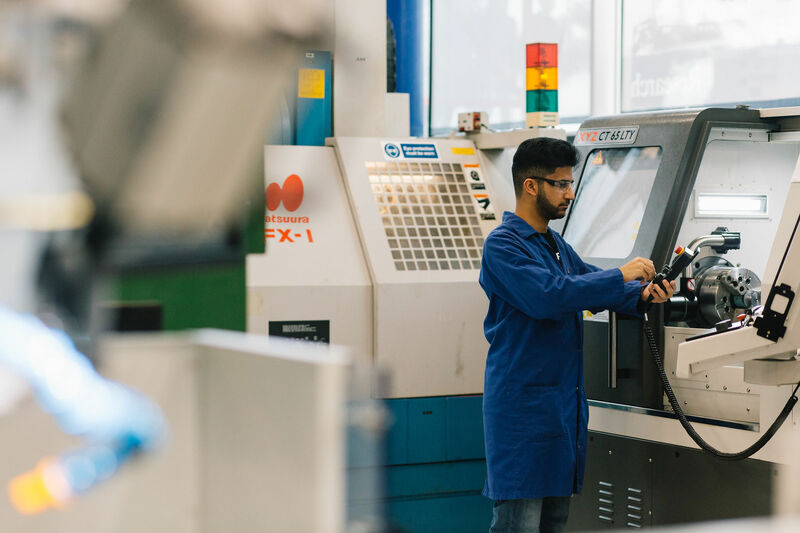 This module aims to provide you with an understanding of and practical experience in the techniques used in controlling manufacturing applications. 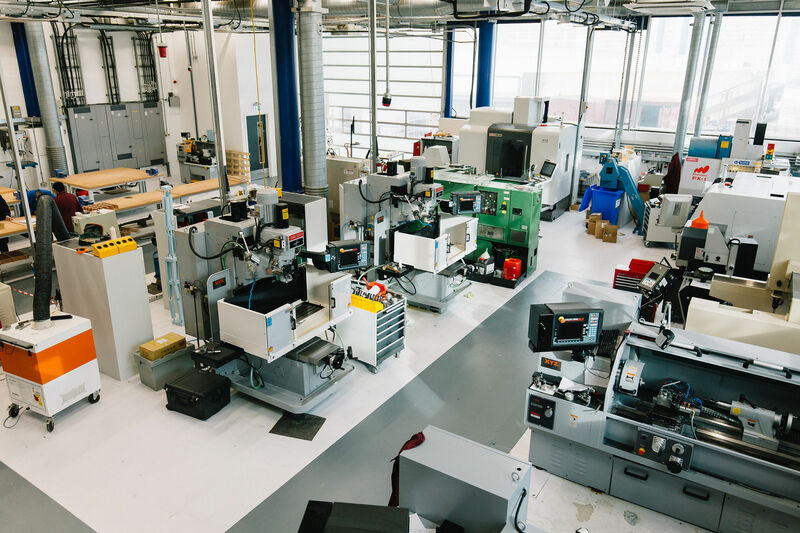 Topics include inspection, machine tool control, flexible and dedicated automation, and work holding systems, supply of power and services and health and safety issues. 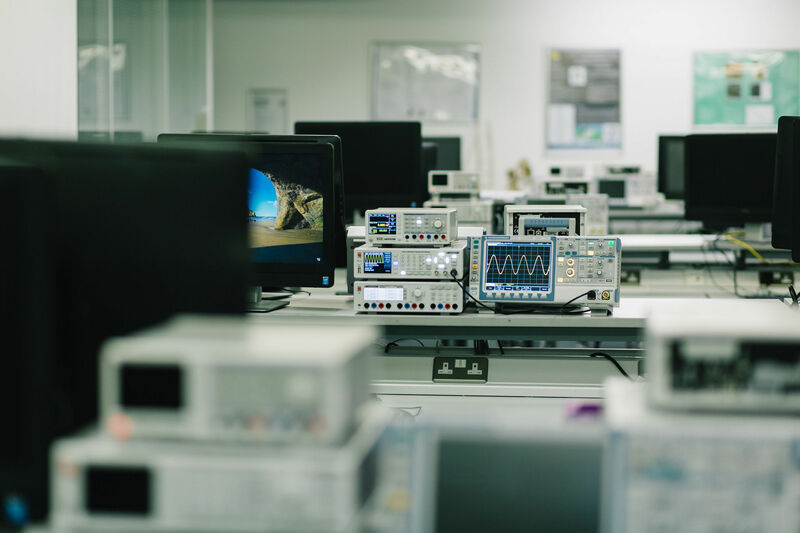 If you are intending to work in a manufacturing environment you will need to develop an understanding of the techniques used in Computer Aided Manufacture of components and products. 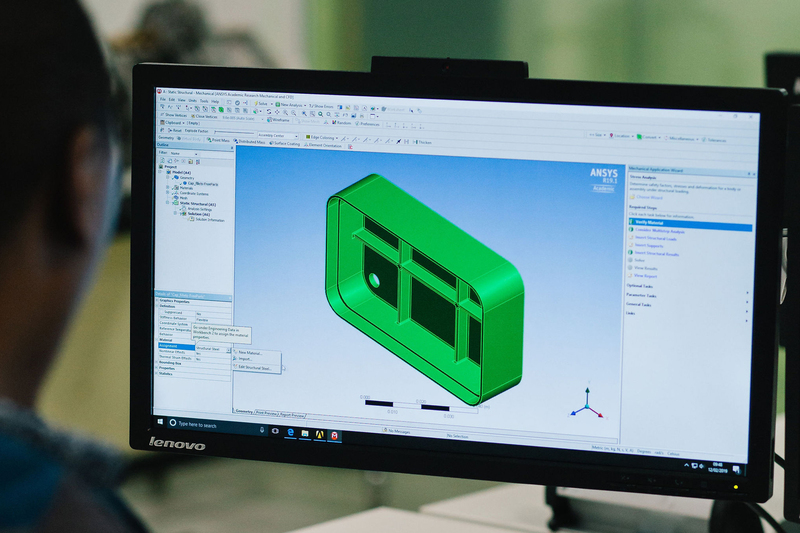 You will also require a working knowledge of the application of CAM and simulation technologies to form complete integrated systems for product manufacture. 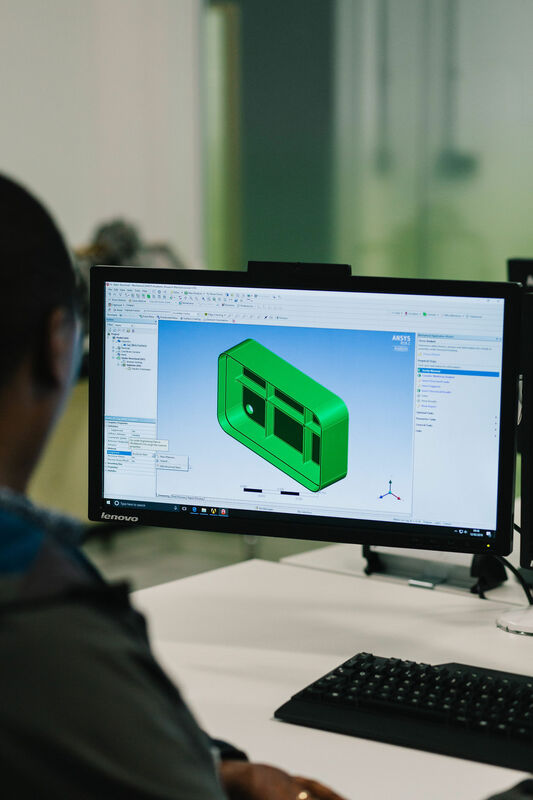 Topics include CAD, CAM and CNC data forms, simulation of machining operations, manufacturing cells, calibration, measurement and testing, 3-D System simulation; assembly systems; post processor configuration and application; advanced process simulation and product development. 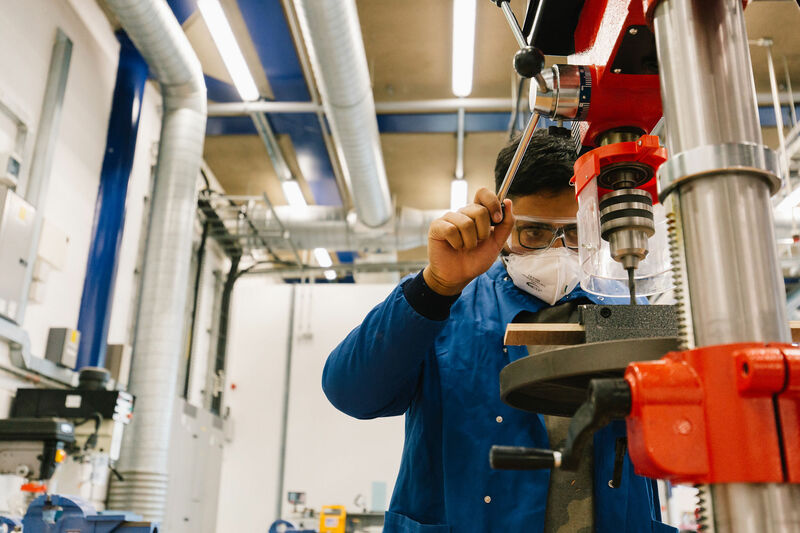 This module provides an opportunity for you to investigate the world of new materials and their industrial application through a combination of taught content and both practical and theoretical research project work. It is anticipated that guest lectures will provide industrial focus to this wide-ranging subject. 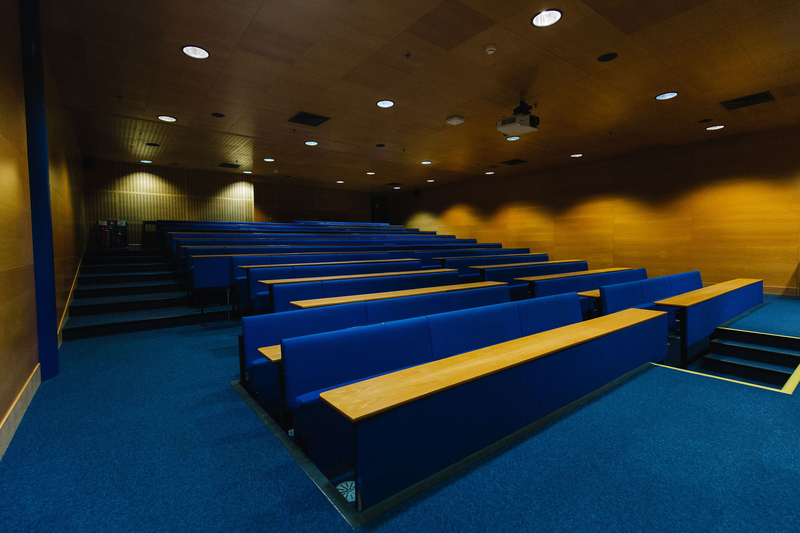 It is proposed that a mini-conference will be held at the end of the module, offering opportunities for you to present your findings to academics, your peers, and industrial contacts. The module provides you with an understanding of the factors which control and constrain the performance of manufacturing and other operational systems including topics such as Risk Analysis and Decision Making Process, Material Flow Analysis, Maintenance and Replacement, Development of a Manufacturing Strategy. Product Lifecycle Management (PLM) considers products and associated systems from concept to reuse, including design, manufacturing processes and routes, and production management, and places them in a global context which includes sustainability and climate change. 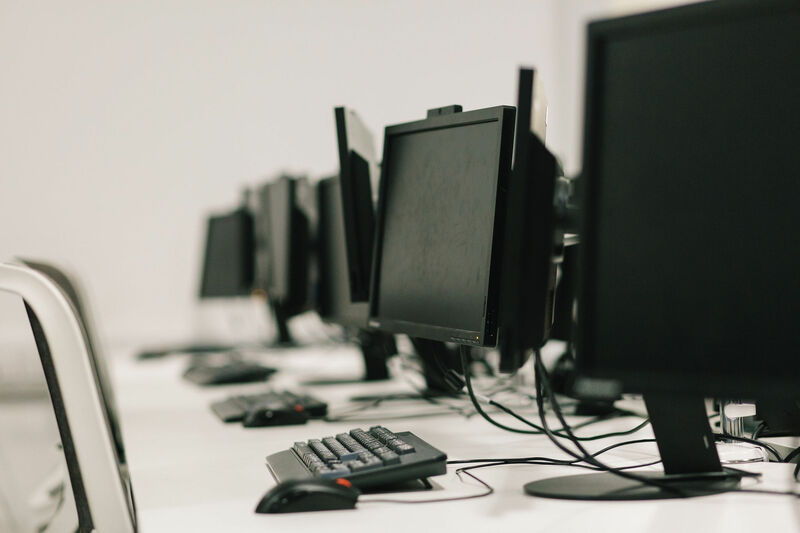 This form of systems engineering is focused on meeting all requirements, primarily meeting customer needs, and coordinating the systems design process by involving all relevant disciplines. The core of PLM is in the creation and central management of all product data and the technology used to access this information and knowledge, and this module will help you become proficient in the philosophies, tools and techniques you will need to achieve this coherence. 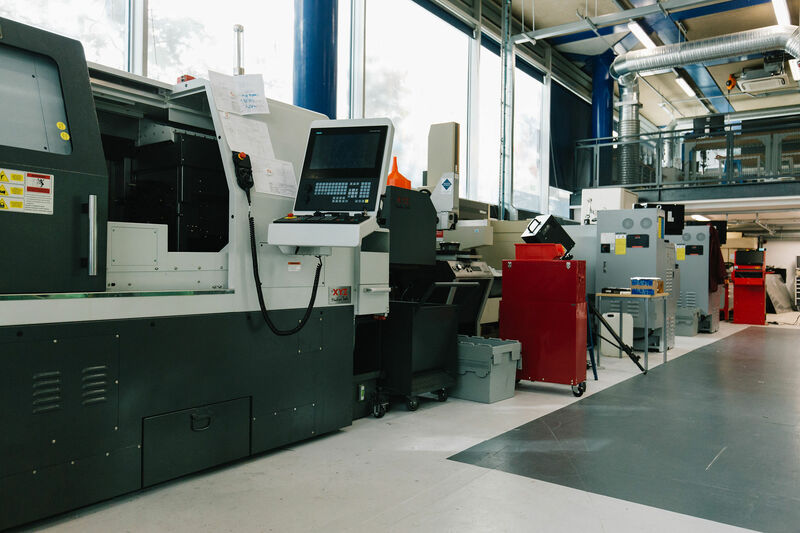 PLM as a discipline emerged from tools such as CAD, CAM and PDM, but can be viewed as the integration of these tools with methods, people and the processes through all stages of a product’s life. It is not just about equipment, material processing and software technology but is also a business strategy. This module has a strong emphasis on the environment and on sustainability of business. 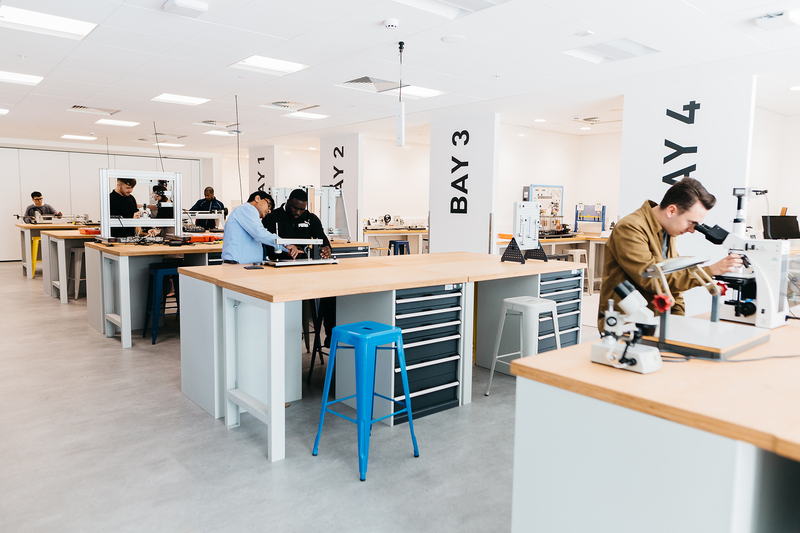 This module provides an opportunity for you to investigate the world of new materials and to develop an understanding of the techniques used in Computer Aided Manufacture. This will be set in the context of industrial applications and delivered through a combination of taught content and both practical and theoretical research project work. Project management is the application of processes, methods, knowledge, skills and experience to achieve the project objectives (PMBoK, 6th Ed. (2012). Project management is key to delivering strategic value within an organisation and it involves far more than a time plan, a budget and a risk register. 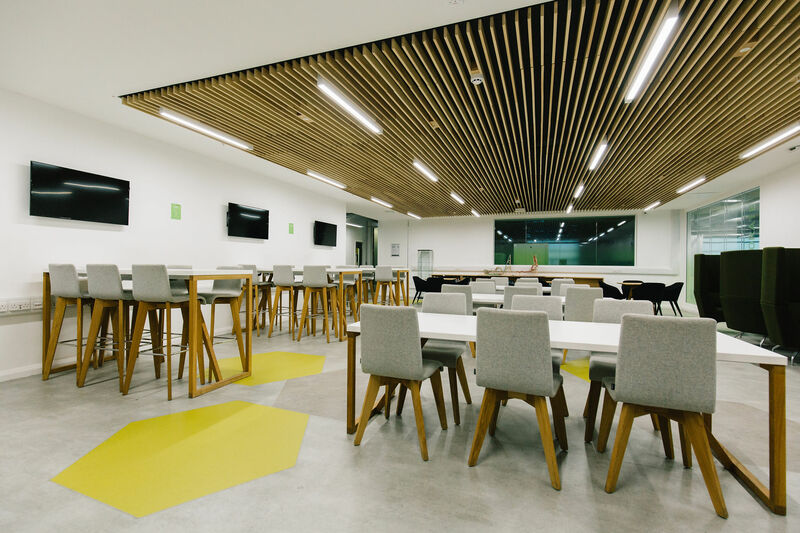 Projects can range from construction of a new building to the launch of new product, or outsourcing previous in-house functions, to the re-engineering of products, services and processes. This module will deal with the two main stages of any project: PLANNING and IMPLEMENTATION. Seven techniques are identified as being applicable to one or both of these: PRINCE II, Activity networking (Work breakdown schedules), Project Financial Appraisal, Earned Value Method of Project Cost Control, Risk Identification and Assessment, Break-even analysis and Use of Computer Software for project planning and Control. 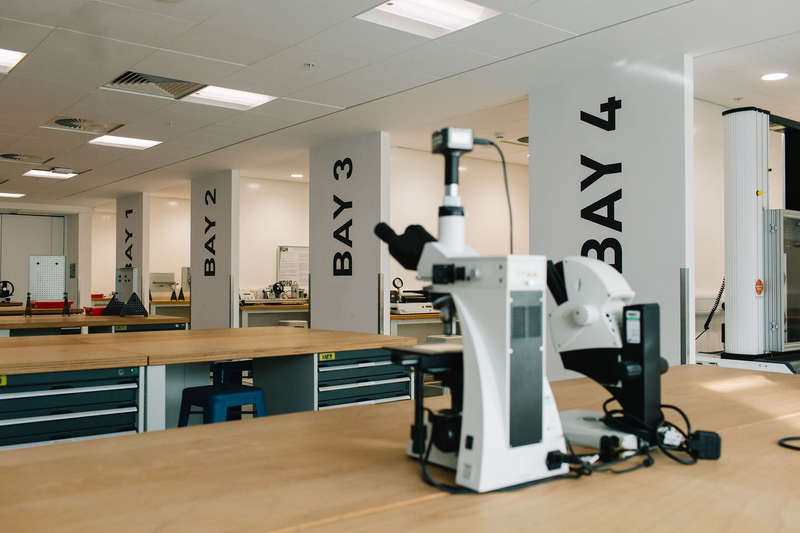 This module aims to provide you with the tools and techniques you require to assist in developing skills and expertise in the reverse engineering process. 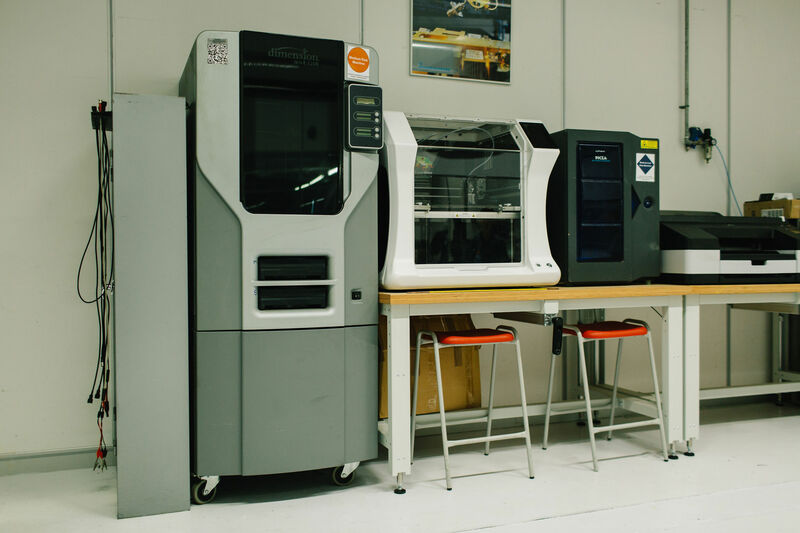 The module also provides you with an understanding of, and practical experience in, the techniques used in prototype manufacture. This module will focus on resource management and its effective deployment and allocation to achieve sustainable competitive advantage for organisations. Two main resources will be considered: HUMAN and FINANCIAL; without which, organisational success cannot be guaranteed. You will be introduced to theoretical concepts underpinning resource development and deployment such as, human capital development, change management, motivational theories, learning organisations, financial methods, investment appraisal, budgeting, alongside financial and management accounting. You will develop analytical skills through coursework tasks, encouraging your creativity and problem solving using relevant systems and technologies. You will be assessed both formatively and summatively by a number of methods, including coursework exercises, examinations, presentations and practical assignments, while assignment methods will include laboratory and design reports, presentations and in-class demonstrations. Summative assessment is by way of assignments, projects, presentations, time-controlled assignments and end examinations, where appropriate to the individual module. The University has a range of research (PhD) postgraduate programmes. Details can be found on the postgraduate section of the website. We will prepare you for employment by providing you with the skills, experience and industry links you’ll need to thrive upon graduating. The University also has its Graduate+ scheme, an extracurricular programme which is designed to augment and enhance the subject-based skills you will develop through the programme. These additional skills and attributes will further enhance your employment options and prospects once you leave the University. The programme will help you develop your skills in CV writing, presentations, covering letters and creating winning portfolios. Students already in employment have often gained promotions in their sponsoring companies and have gone on to pursue professional careers in their chosen industries. 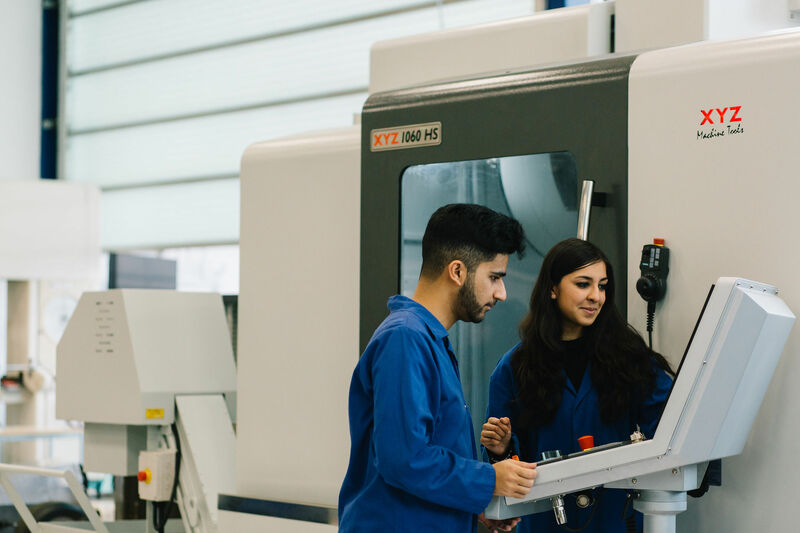 Students who have studied or worked in manufacturing, operations management or general engineering may be eligible to join this course, subject to interview and conditions. We offer a wide range of technology to help you with your studies. We have an ongoing strategy to upgrade and further develop our well-equipped laboratories. These plans are supported by global technology providers such as PTC and Technosoft. 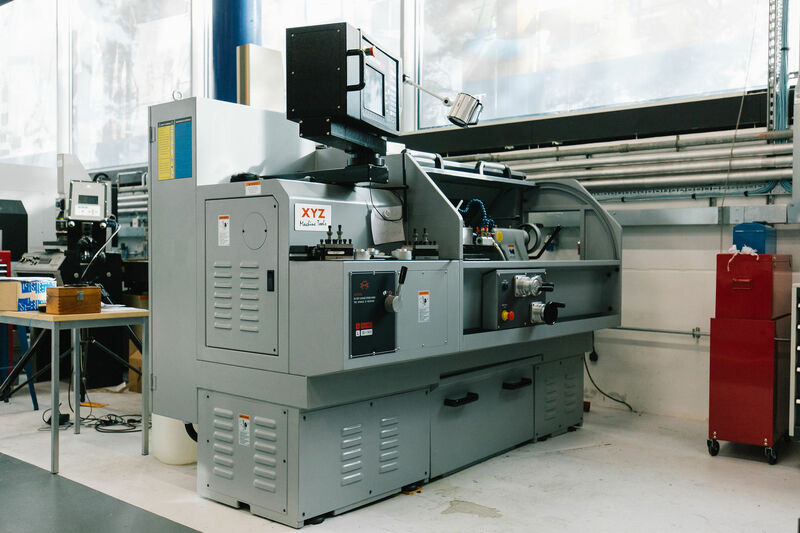 These two companies alone have recently donated more than £11 million worth of computer aided design, product lifecycle management and knowledge-based engineering software. 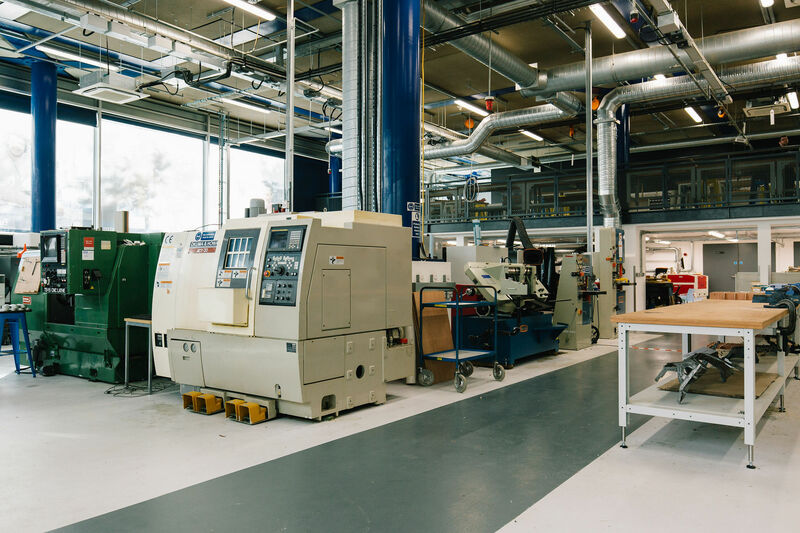 In addition, more than £750,000 worth of capital investment has been made in upgrading our engine emissions test facilities, environmental laboratory and thermodynamics equipment. Signal Group Analysers in 3 racks with heated sample systems. Alan is Associate Professor of Advanced Systems Engineering. Having left school with no A Levels, Alan worked as a chainmaker, a shop assistant and in the food industry for over ten years before being made redundant and embarking on an Access Course at Wulfrun College in Wolverhampton. He worked part-time in an architectural drawing office and completed the BEng (Hons) in Engineering at Birmingham Polytechnic in 1992 and an MSc in Industrial Logistics at UCE in 1993. He began lecturing in CAD and Manufacturing Technology at the University and Matthew Boulton College in 1993.